Our editing team meets face-to-face to brush up on project methods and make major decisions, and we invite participants and prospective new editors to learn our methods and think with us about project management challenges during the Coding School. Please join us if you want to learn text encoding methods and their applications in the Digital Humanities in the context of an active digital archive project. We will orient you to our methods of text encoding, edition making, and data analysis by giving you hands-on experience with literary and historical documents. We offer an opportunity to learn and reflect on the encoding of markings on manuscript material, as well as the auto-tagging enormous and complicated texts with regular expression matching. All participants gain experience with navigating and processing editorial markup helpful in managing a digital edition project. Returning participants and advanced coders will continue learning how to write project schemas and process and transform markup for publication. And we invite all participants to think with us about how best to build a site interface and visualizations to help explore the data we are gathering on nineteenth-century networks of people, places, and texts. Our workshops are held at the lovely Pitt-Greensburg campus, recently named one of the five most scenic college campuses near Pittsburgh. This year's conference follows the 25th Anniversary of the British Women Writers Conference (BWWC) held in Chapel Hill, NC (June 21-24) , a conference that is very special to us because its 2013 meeting hosted the founding of our Digital Mitford project. 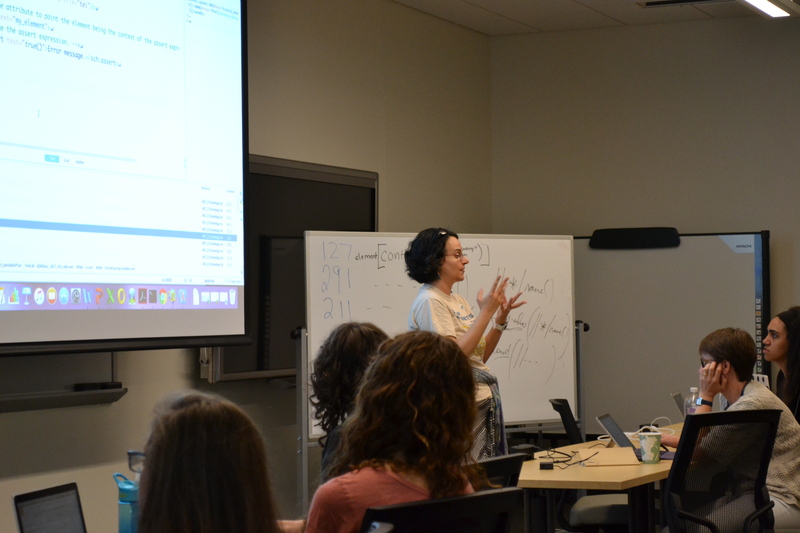 Some of our team will be on hand at the BWWC to offer a Digital Paleography workshop at the conference--a preview of what to expect of our more extended Coding School at Greensburg. We expect our resident Coding School participants to arrive at Greensburg on Tuesday June 27 (so we can begin working at around 9am on Wednesday June 28), and depart on Saturday July 1, with our Coding School in session from around 9am Wednesday June 28 through Friday evening June 30. Members of the Digital Mitford editing team plan to use Saturday July 1 as a meeting day, but will also be working together on project development through the week. Some of that activity will feed into material for the Coding School to work with together. Though we draw our active editors from researchers of 19th-century literature, we hope that all who join the Mitford project (whatever their primary research field) will find good resources for professional scholarly research and publication, and gain beneficial experience for individual projects. Joining our workshop leads for any interested in joining to a free first-year membership in the Text Encoding Initiative, the international consortium establishing best practices for encoding of digital texts. We anticipate hosting three overlapping groups: 1) beginning coders who wish to learn our methods to apply them to their own projects 2) scholars who wish to join the Mitford project as active editors, and 3) repeat visitors seeking to review what they learned last year and to learn more about how to process, transform, and publish digital editions and informational graphics from markup. Participation in an active "dig site" for important data on networks of women writers, theaters, and publishers from the 18th and 19th centuries. We are grateful for funding support from the University of Pittsburgh and Pitt's Greensburg campus, including a Year of Diversity award to support outreach to new coders and textual scholars.